When you are caught up in exam fever it can seem like the outcome is the only important thing in the world and that there is a huge amount riding on the result, not least entry into university or better job prospects. However, no one performs at their best if they are under a huge amount of pressure. While it is important to recognize A-Levels are a key milestone in your life and that good results will be valuable to your future career, they should also be put into perspective. 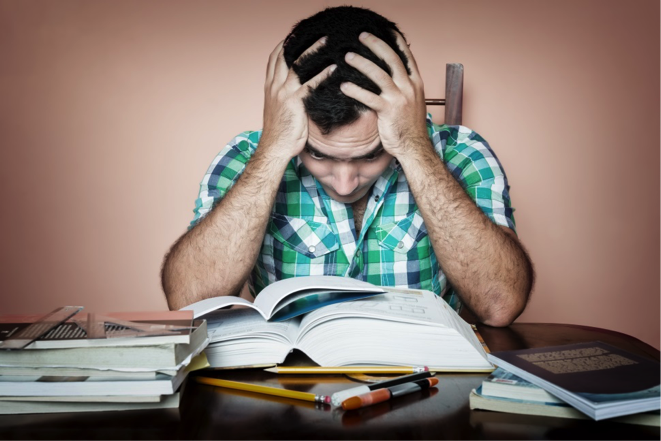 Worst case scenario, an exam can always be repeated, and while this is not something anyone wants to happen, you might just find that by taking the pressure off a little, you perform better first time round. Sometimes students are slow to start their revision because they feel overwhelmed by the amount of work that lies ahead and they are just not sure what to tackle first. This is why it can sometimes be helpful to take a revision course in any or all of the subjects being studied. This can help to organize your thoughts and to make sure you are focusing on the key areas of the syllabus. The final piece of the puzzle, to ensure you are in peak condition for exam time, is to take care of yourself physically. Studying can be tiring, on top of the fact that you are nervous for the exams, so eat well and get enough sleep. This is part of the reason that you don’t want to leave a lot of revision until the last minute. There is nothing worse than sitting an exam when you have been awake most of the night revising.